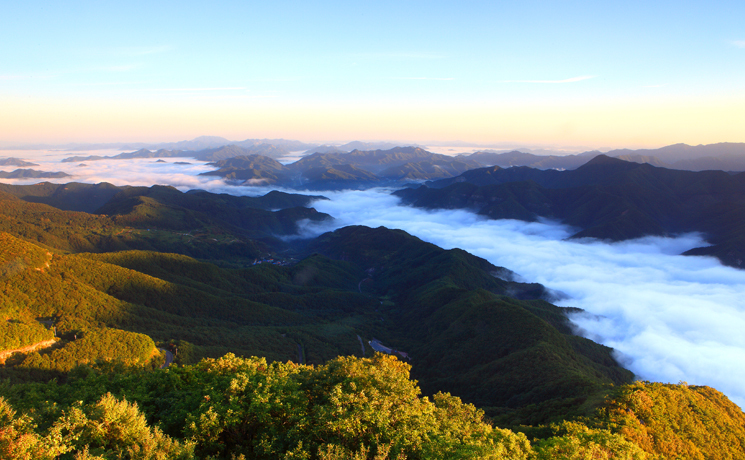 When going up to the highest peak, 'Hyangjeokbong', of the consecutive peaks of Deokyu Mountain looking down around the three southern provinces of the Korean Peninsula, one can overlook Mt. 'Jeoksang' appearing very closely. The historic cultural assets, such as Mt. Jeoksang Fortress and Anguk Temple, etc., along with the upper dam for the Muju Pumped Storage Power Plant add much more elegance to the place. 'Anryeomdae', was originated from a historical fact that when the 'Kitan' tribe invaded during the era of Goryeo dynasty, a three provincial governor (Samdo Anryeomsa) brought his soldiers to this place and built a military camp to avoid the attacks of the tribe. In addition, it is a historical place where the government chronicles kept in Jeoksangsan Sago (Royal history book library in Mt. Jeoksang) were brought into a stone chamber under the rock of 'Anryeomdae' to protect them during the tragic historical period of 'Byeongjahoran' (Qing's invasion upon Chosun dynasty in 1636). This rock, which rises as if it stung into the sky below the west gate of Jeoksang Mountain Fortress, has a legend that when a general, Choi Young, in Goryeo dynasty went up on the ridge of Jeoksang Mountain, the trail was blocked, so he wielded down his long sword to make a way. It is an artificial lake located in the basin of Jeoksang Mountain (800m above sea level) and was named "Jeoksangho" (Lake in Mt. 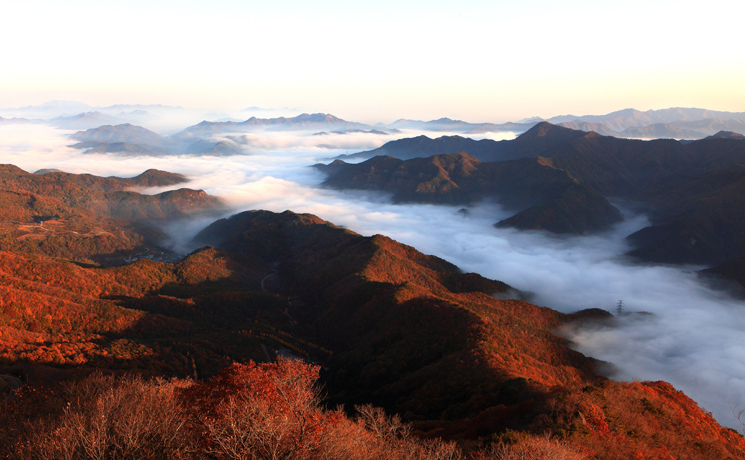 Jeoksang) since it was built in order to reserve water necessary to supply into the hydro-power generation plant. 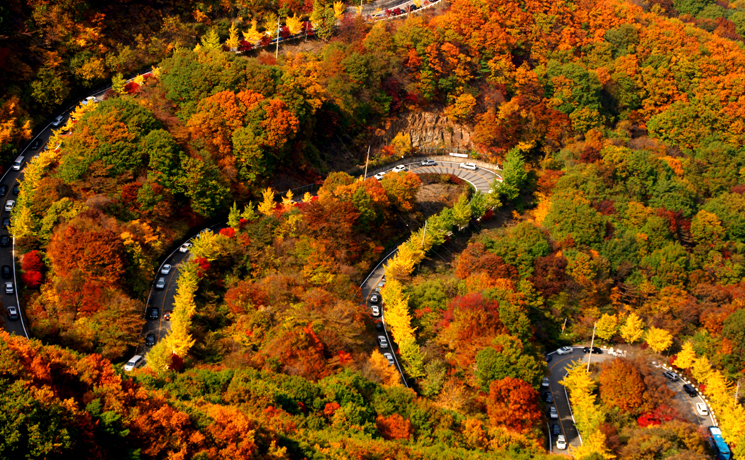 Since a paved road was built from Muju-eup to Sanjeong Lake, anyone can enjoy driving on the road and there are many attractions for you to enjoy hiking while sightseeing the scenic spots, such as Cheonil Waterfall, Jeoksang Mountain Fortress and Anguk Temple, etc., as well as looking down around on the observation deck in a far sight. 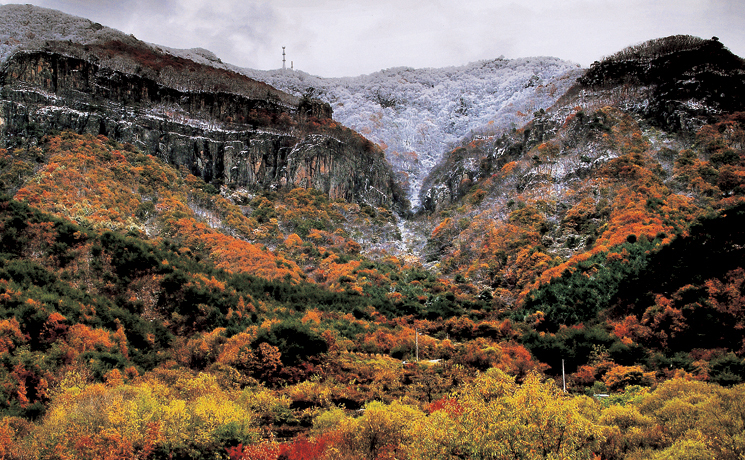 Moreover, it is being highlighted as a new noted tourism attraction since the mountaineers can sightsee the dam at the lower part at the foot of the mount as well as looking around the Hydro-Power Generation Plant in Muju-gun.